Telecommunications Services of Trinidad and Tobago (TSTT) launched its 4G LTE mobile network last week in an unveiling that featured the company’s top executives celebrating their historic moment. The world-class speeds, being offered through its bmobile brand, bring a new level of service to the country that TSTT believes will be transformative for the company and its customers. Company officials gave a first-hand demonstration of the increased speeds offered on the network during the event. Live streaming of HD videos on Netflix and YouTube was displayed at an average download speed of 67MB per second. Currently, said CEO Dr. Ronald Walcott, the 4G LTE capacity has coverage in Trinidad in Port of Spain and San Fernando. But that will be growing quickly within the early months of 2017. 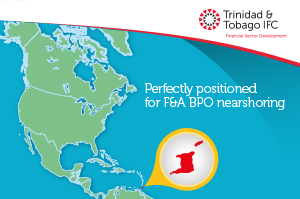 Trinidad and Tobago is widely credited for being above and beyond the rest of the Caribbean region in terms of connectivity. It has been rapidly adding capacity and coverage in recent years to expand services for both typical and business customers. TSTT has been working towards the completion of its 4G LTE network throughout the year to further elevate its service levels.